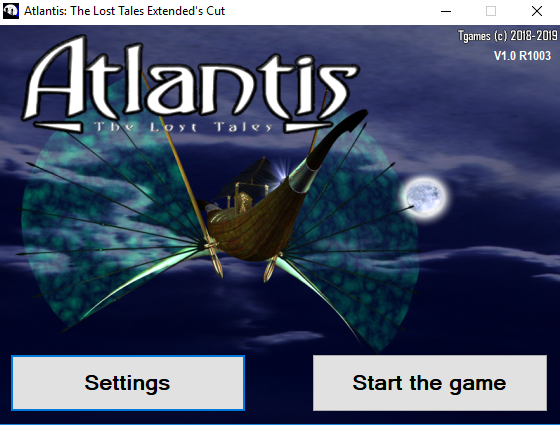 We are proud to annonce the release of the PUBLIC VERSION for Atlantis The Lost Tales EXTENDED'S CUT EDITION ! This new version is a patch/update for the GOG Release. You NEED to buy/own a copy of Atlantis from GOG Store in order to use the Extended's Cut Edition. visit hidden area (Creon's secret room, stone cercle, flyer of the beginning of the game...) and of course free visit of all area of the game (all are linked, like Versailles, Egypt and others games from Cryo). This new version is NOT backward compatible with older save files made under the original version. Please delete all your save files before running the game once it's patched ! 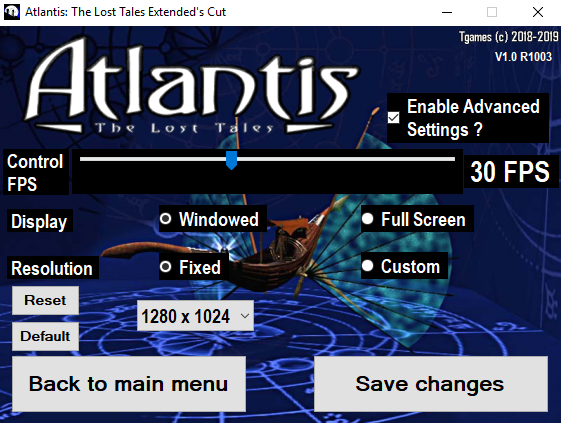 This updater is TOTALLY FREE and made to be used with a legal copy of Atlantis: The Lost Tales bought on GOG. NOT approuved or endorsed by Cryo Interactive, and currents owners of their licenses. This software is provided FREE and AS IT. 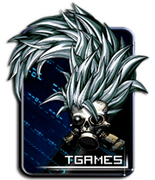 Tgames will NOT gives any warranties or takes any responsability if the software cause damages to your game or your computer. It's should not, but in any cases we decline any responsability. You NEED to buy a legal copy of the game from GOG in order to use this patch. GOG IS NOT contributor, NOT in charge, NOT responsable of this software and will gives NO supports and NO updates for it. Atlantis: The Lost Tales is a trademark of Cryo Interactive (c) 1997. All Rights Reserved to the owners of their licenses. 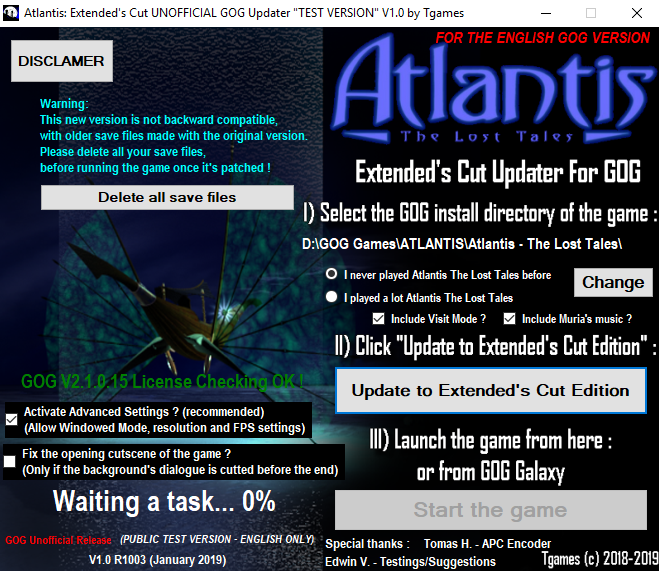 3) Run the Atlantis Extended's Cut Updater and update the game ! 4) Run the game ! New dialogue with the guard (Oh no you don't! Nobody leaves especially no priestesses!" New dialogue of Seth if he doesn't take the bag with Anna in. New dialogues with Anna (some has been used as timeout dialogues very hard to trigger, now it's a lot better because we can trigger them by talking to Anna). MURIA'S MUSIC ! (Was composed by Pierre EstÃ¨ve, the co-composer of the musics of the game, never used in the game on any versions by Cryo). Ladder now is removed from the inventory if you leave the room without use it from the door. The ball to reveal the way to solve the throne puzzle now is removed from the inventory if you don't use it. Delete all your saves, just click on "Delete all save files"
 Click on "Update to Extended's Cut Edition"
Note: Only launch one time the updater, when it's patched, just start the game normally. First official public release ! Support Deutsch, Spanish and Italian languages. Support every languages in the same updater. Note: Some translations may be inaccurate, if you found a mistake, post it on the board. Some fixes and optimizations on the patcher. "Extended Cut" added on the background image of the main menu (Thanks Edwin). Unused Wine Cup object now viewable and usable in the Chapter "The Companions' Room"
Add 2 new GameOver in the Palace Library Chapter and one new GameOver in the Search of Anna in the Tavern. Fix a double cutscenes bug in front of the door after a timeout gameover in the chapter "Guard Room". Add a "Windowed Full Screen" mode for a display in a full screen window. -> Select a 4:3 resolution in "Settings" of the game (for example : 1280x1024 in 1080p) to preserv 4:3 aspect ratio. 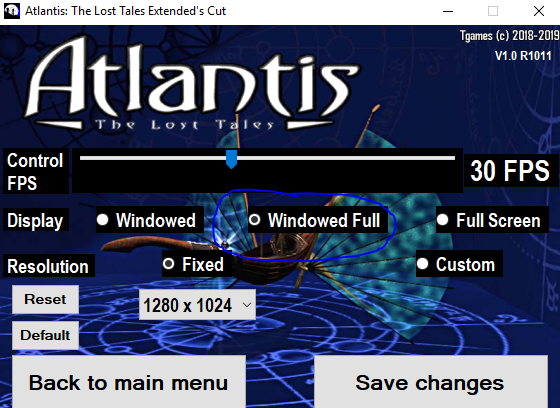 -> To recover Windows's task bar after exiting the game, relaunch and close ATLANTIS.EXE. Better handling for closing process who blocks the updater (it will first fail, then wait 5-10min and retry). Now a all-in-one solution for everybody is now proposed. Fullscreen mode stable and runs without any freeze at 100%. Add Support for selecting the number of FPS in without "Advanced Settings" mode (no DxWnd) ! New Atlantis Launcher with sounds taken from the original Cryo's Launcher. I am testing the new extended cut R1010 version from the launcher. When I try to launch the game fullscreen with 1280x1024 resolution like you did and worked right, in my case it stretches the image and still provides a dullscreen stretched version - it does not keep the 1280x1024 resolution with black bars left and right like yours did. Is that an issue with R1010? Should I try R1003? insomniacgr a écrit: Hello again! in Settings before launching the game. This mode will force better the resolution selected on a Windowed fullscreen at the correct ratio. make sure to select "Preserv Aspect Ratio" in the settings of your graphic card. Like this you will have the correct aspect ratio. If you have a nVidia Graphic Card i can explain to you how to activate "Preserv Aspect Ratio".